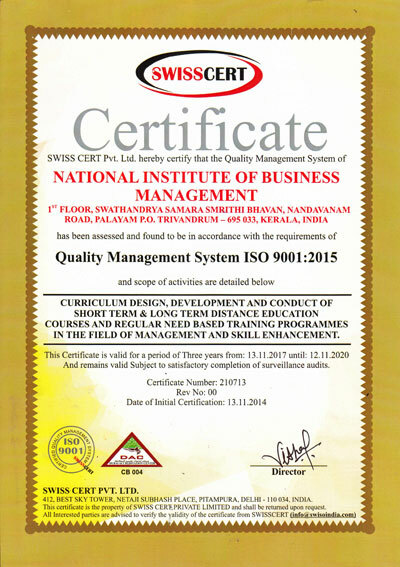 ISO 9001:2015 was awarded to the Institute after thorough inspection and audit of the quality and standard of all aspects of its activities, especially teaching methods, admissions and conduct of examinations. 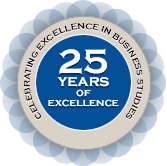 This Internationally recognized certification gives global acceptance to the students of the Institute. NIBM aims at academic excellence in management education through continuous research and delivery of various programs providing efficient and excellent service to the students. We shall constantly strive to improve the academic processes by regular human resource training, student feedback and review of systems.